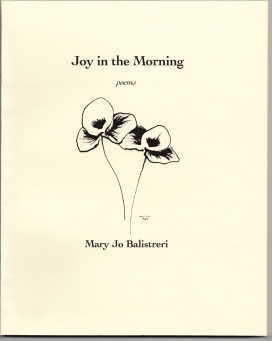 Mary Jo Balistreri is the author of two poetry books, Joy in the Morning and Gathering the Harvest, published by Bellowing Ark Press. 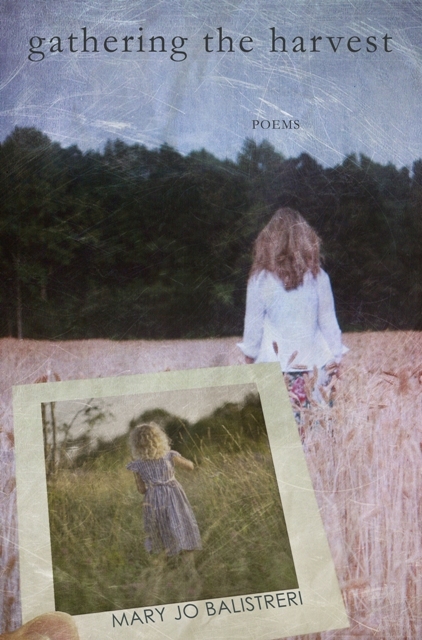 A chapbook, Best Brothers, was published by Tigers’ Eye Press. Mary Jo feels that losing oneself in the process of writing is healing, and that sharing poems, learning about the experiences of others, and the sensibilities and events that move them widens our circle of community. excellent in the missing of our first nuturer in life, echoing the end of a journey. Stunningly beautiful and haunting! Blades go grass. Quite an image. Lovely as always. That's a beautiful last line! oh, this is lovely! last line to carry in the heart. You weave a tapestry of words, paint beautiful pictures on my mind, "Tonight feathered wings brush across the sky"
The line I love is "The more she lost the more she gave away. . . " Beautiful poem, Jo! How many carry their mothers with them always? I will think of this poem each time I gaze at the piece of art of your mother's on my bedroom wall. You capture and depict moments beautifully. What a lovely picture you have painted of your mother's last days...The transition is heartfelt and filled with beauty, dignity and cherished memories. Thanks for sharing, Mary Jo. I will cherish the last line of this poem. Thanks Jo. Beautiful! Wonderful details which somehow make the poem more universal. How precise her grief. Those tap shoes. A poignant, loving, lyric memorial to a talented, versatile, artist mother, who seems now, after 14 years, an angel muse. Wonderful contrasts between the apricot-peach-purple and the expanding matte shadows of dusk; between song and silence, between ground and sky, between loss and abundance. Words on canvas like a watercolor. How can family not be forever? It is so good to have these memories. Jo, your beautiful, poignant, love filled poem Is a gift to me and to Mom. Because of your powerful visuals, I feel your presence and Mom's as she lived the final months of her life. Her legacy does live on and she is present everyday to those of us who loved her. What a lovely tribute you've given Mom and what a beautiful Mother's Day card. Jo, the love for your Mother in your beautiful words reaches out to me and touches my heart as I am on this journey with my Mom. Such love we have for our Mothers! Jo, your poem is stunning - in its beauty and simplicity - in its love for your mother. Thank you. This is a beautiful poem. Lyrical, poignant, real. Beautiful! I lost my mother when I was 14, yet she is always with me. She loved Nat King Cole too. I love the white space in this poem, the line: "Tonight feathered wings brush across the sky." This poem is very musical, Jo, and this line touches me beyond what words can say: Mostly silence filled her as June turned into December. I am glad she had an apricot sweater and a gentle acceptance in the atmosphere.